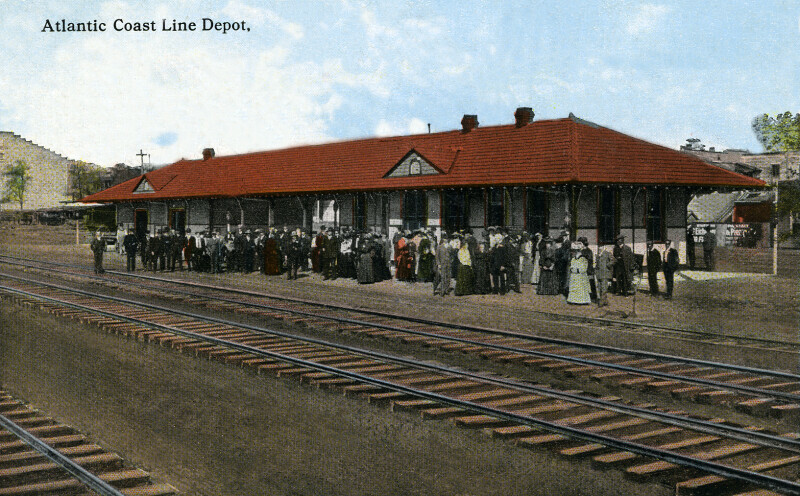 The Atlantic Coast Line Depot is a single story structure, with terracotta tile covered, hipped roof. There are many people standing outside the train station. In the foreground, three sets of railroad tracks are visible.